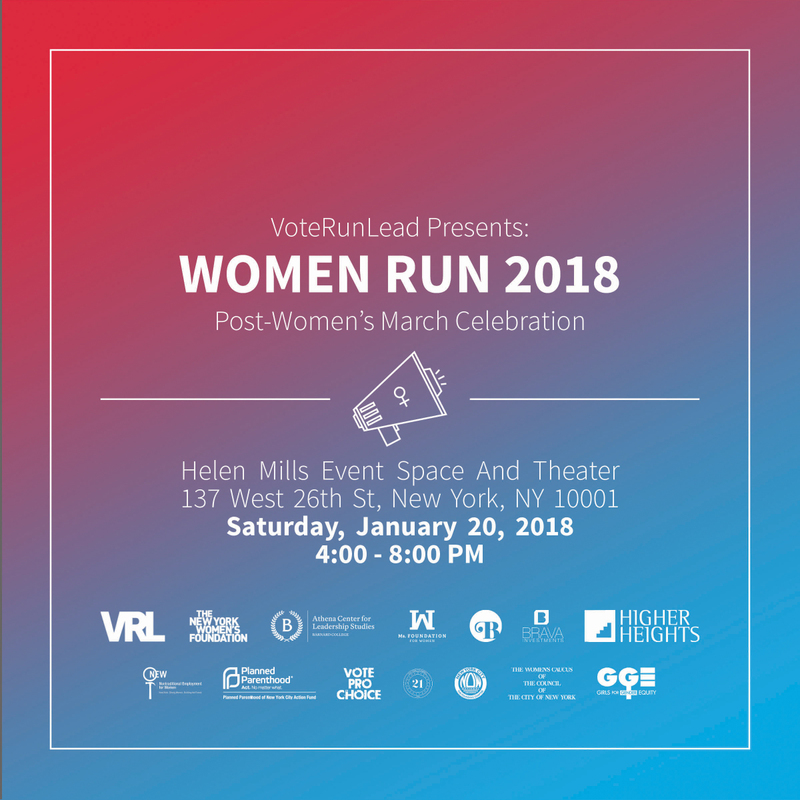 VoteRunLead in coordination with the New York Women’s Foundation, The Ms. Foundation for Women, the Athena Center at Barnard College and our media partner Bustle magazine present “Women Run 2018” following the Women’s March in NYC on January 20th, 2018 from 4pm-8pm. VoteRunLead will host an exciting and informative post-march event that will help guide your passion from the march into making change in your community and beyond. From 4pm to 5pm attendees will have a chance to have a personable, intimate convo with experienced and amazing women leaders about questions such as what next steps to take to get actively involved and how best to run for the office they want. This will be followed by an open discussion about the culture of sexual harassment with local leaders from the tri-state area, including VoteRunLead’s “Declaration of Power”. The event will end with a dance party at DJ Stef Nava! Sign up and stay updated on the amazing speakers soon to come! 5:00pm: Time's Up: Ending sexual harramement with Rebecca Traister, New York Magazine; NYC Council Women’s Caucus Chair Helen Rosenthal; and local advocates. 6:00pm: There will be consultation and coaching for women who want to run for office, those who want to support them and other advocacy tactics by experts from VoteRunLead and 12 other organizations. Wine, Food and Beverage will be served.